Manchester City faces Everton at Goodison Park in a 27th round of the Premier League. The duel will be played on Wednesday, February 6, starting at 7:45 pm as guests are favorites for victory. By schedule, this game was due to be played at the end of the month, but was pulled out earlier due to Manchester City’s participation in the Champions League final on February 24 against Chelsea. Now the Pep Guardiola team has an excellent opportunity to equalize points with Liverpool leader. Currently, the difference between the two teams is three points after Manchester City won the Arsenal 3-1 win over the weekend while the Jurgen Klopp team failed to beat West Ham (1:1) on Monday. Everton, however, is unlikely to give up without resistance to the Manchester City team. 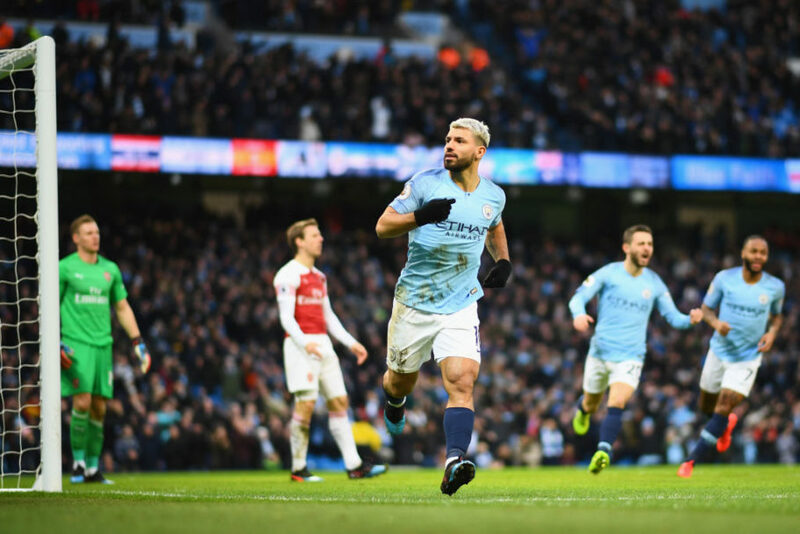 Although fans of the hosts hardly want their big city rival to become a champion, they have to think of their good and take points from Manchester City. The Toffees are ranked ninth in the 33-point ranking. The hosts have won 36% of their matches during the season, having scored an average of 1.44 goals per game and allowed just as much. In his home game, Everton won 46% of the matches, averaging 1.62 goals per game and averaging 1.46 goals per game. Marco Silva’s team is one of the Premier League’s top teams, and in his last home he lost 1:3 from Wolverhampton Wanderers. Manchester City defeated 1:2 from Newcastle United in its last tournament visit a week ago. But in the upcoming match, Pep Guardiola’s team has no right to go wrong. Manchester City have won 47% of their last 15 games against Everton – seven wins for them with three successes for the rival. The Sky Blues will rely on the good form of Sergio Aguero, who scored three goals against Arsenal on Sunday. In my opinion, the Argentine striker will lead Manchester City to a new success, and you can bet Aguero to score a sign for the final. Our qualified betting team are ready to answered your questions!